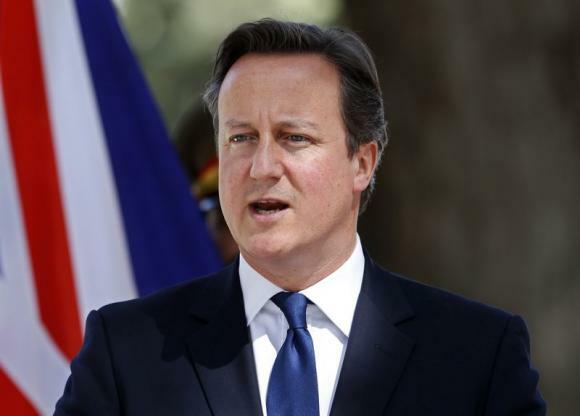 LONDON (Reuters) – Prime Minister David Cameron said on Wednesday Britain should stand up for the rights of people in Hong Kong, a former British colony, after more than two weeks of protests over Chinese restrictions on how the island chooses its next leader in 2017. Answering a question in parliament about the unrest, Cameron said it was important people in Hong Kong were able to enjoy freedoms and rights set out in an Anglo-Chinese agreement before Britain handed it back to China in 1997. “It is important that democracy involves real choices,” Cameron said, stressing the importance Britain attached to the agreement. “It talks about rights and freedoms, including those of person, of speech, of the press, of assembly, of association, of travel, of movement, and, indeed, of strike. Chinese Foreign Ministry spokesman Hong Lei, asked about Cameron’s comments, said Hong Kong matters were an internal affair.